The Minister for Immigration, Citizenship and Multicultural Affairs, Mr David Coleman has claimed the new investment in boosting resources within the Department of Home Affairs (DoHA) has helped processing citizenship applications effectively. According to the latest government figures, 45,500 citizenship applications were finalised between July and October 2018, of which 39,000 applications were approved. The approvals have more than doubled compared to just 15,500 approvals in the same period in 2017. India's President, Ram Nath Kovind meets David Coleman (R) Australian Minister for Immigration, Citizenship and Multicultural Affairs, in Sydney Nov 2018. "The increase in finalisations and approvals of citizenship applications has occurred against a backdrop of increased integrity measures, a record number of applications and an increase in complex cases," Mr Coleman said. He attributed the results to Government’s new investment in increasing resources alongside an enduring focus on the security and integrity of Australia's immigration and citizenship programs. "Since 2015 we have introduced a range of measures to ensure the integrity of the program and the good character of those seeking Australian citizenship," Mr Coleman said. "At the same time, the Government is working to make the citizenship processing system as functional and effective as possible for legitimate applicants, and these efforts are showing good results," he said. Mr Singh’s three adult children are all Australian citizens. The Department has established a task force to focus on complex citizenship cases while $9 million is being invested in the recruitment and training of extra staff to ensure citizenship applications are dealt with as efficiently as possible. "We are investing heavily to meet this demand, while also protecting the security and integrity of the system to ensure only legitimate applications are approved. "Australian citizenship is a privilege and should be granted to those who support our values, respect our laws and want to contribute to an even better Australia." Former Prime Minister Malcolm Turnbull with new Australian citizens at in Canberra, Thursday, Jan 26, 2017. In spite of an increase in the number of applications finalised till October 2018, the wait time for citizenship approvals has blown out by several months. Waiting times have gone up from 14 months to 18 months. 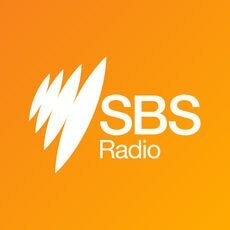 The Department of Home Affairs confirmed to SBS that 244,765 citizenship applications were awaiting processing as of 30th June 2018. As of November 2018, the citizenship application processing wait time is 18 months for citizenship via conferral. While 75% of applications are processed in 18 months, 90% of applications are processed in 20 months, according to DoHA. Waiting for your citizenship application outcome? Write to us to share your views on the backlog. Mr Pradeep Prabhakaran aka Sedunath Prabhakar is a well-known painter and Indian Carnatic classical musician who runs the Kalakshetra Art and Music School in Melbourne. New visa rules will allow the Department of Home Affairs to cancel the visas of anyone convicted of an offence punishable by at least two years in prison - regardless of whether they were jailed for less time, or not jailed at all. A permanent resident of Australia convicted of a domestic violence offence around three years ago has been denied Australian citizenship.